Sticky rice is a common food made from sticky glutinous rice steamed or cooked – a rustic dish which is very prevalent in many Asian countries. Vietnam is an agricultural country with the major crop is water rice. There are many varieties of rice, and sticky rice is a specialty of Vietnam. 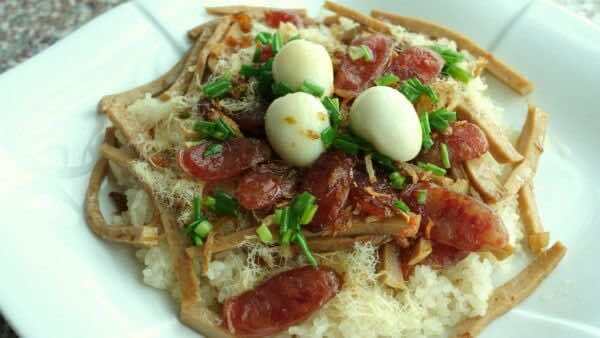 With glutinous rice, people can make a lot of different delicacies. 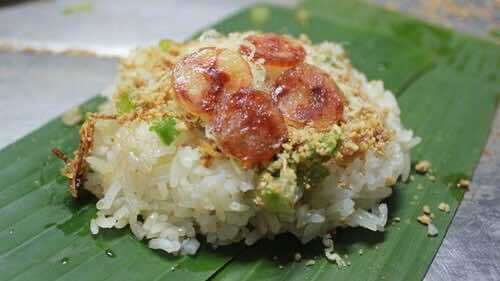 Among them, sticky rice (or xoi in Vietnamese) is an indispensable dish of Vietnamese people. 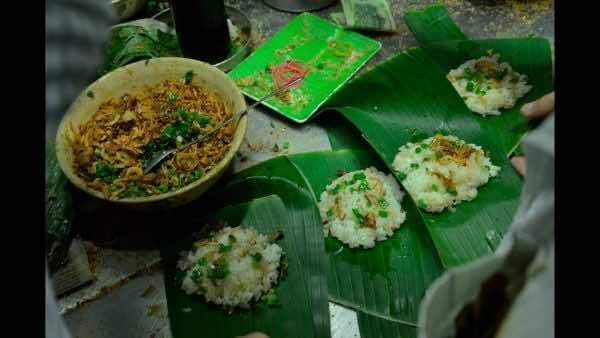 In the full moon days, Tet holidays, weddings… sticky rice is a must-have dish for a perfect feast flatter. 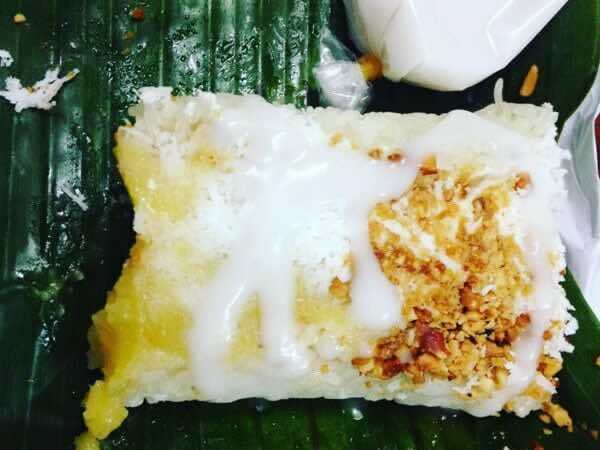 Here is the list of delicious sticky rice stalls in Saigon you should give it a try. The food here is very delicious with a strong flavor and high quality. 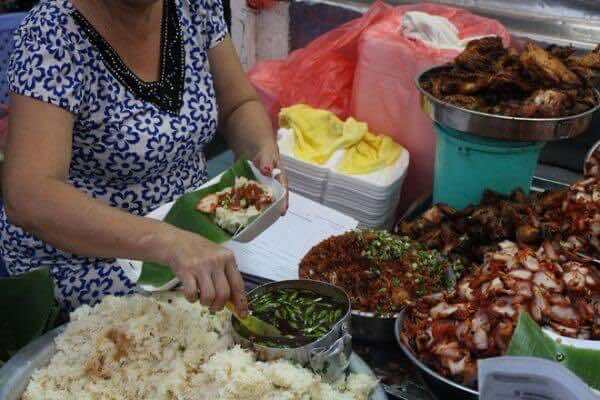 Usually includes different types of meats like pork floss, minced pork sausage and Chinese sausage on a base of sticky rice, topped with fried onion for extra flavor, this dish can keep your stomach full for longer despite its portion’s size. 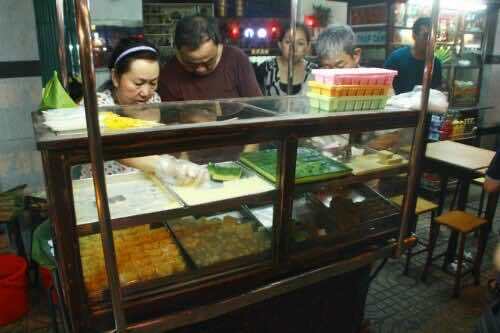 After nearly 40 years of development, the sticky rice shop on Bui Thi Xuan Street now is quite big a restaurant serving dozen types of sticky rice with various topping options, along with some sweet treats. Xôi chè Bùi Thị Xuân – 111 Bui Thi Xuan, Pham Ngu Lao Ward, District 1, HCMC. 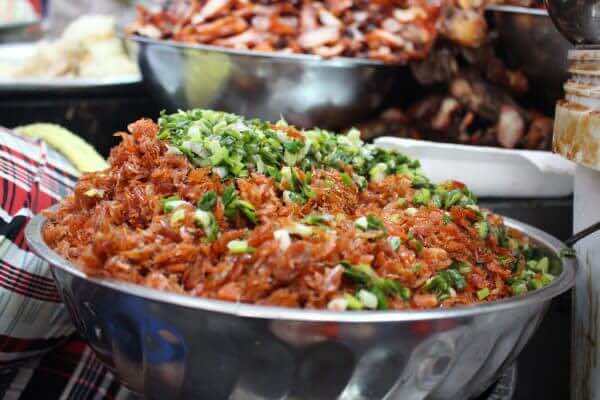 Ba Chieu Market is one of the most ideal destinations for gourmands. Here, you can enjoy a wide variety of typical Vietnam dishes. 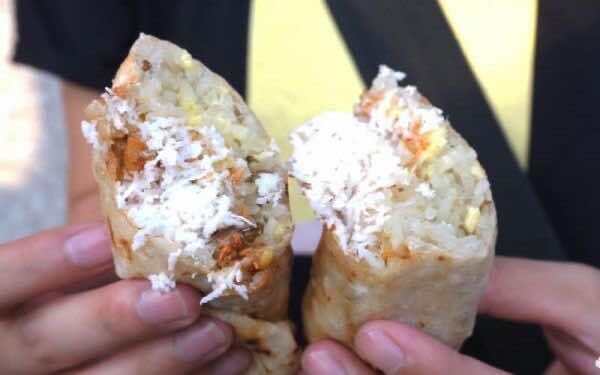 It is also famous for sticky rice that is definitely worth giving it a try. With a very long time of existence, the eatery will for sure takes your endorsement of its signature ( Chinese roast pork and sticky rice). 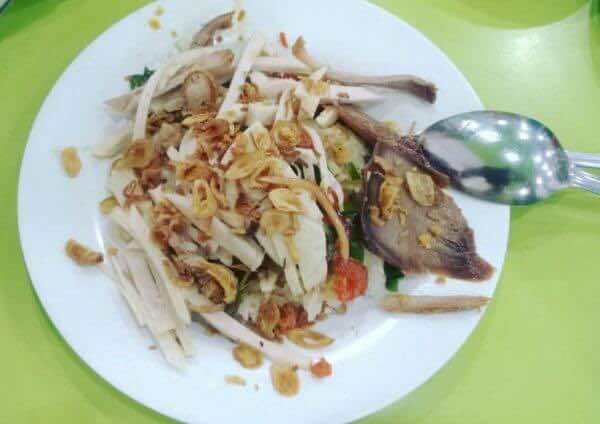 Besides, you can also choose chicken drumstick or shredded chicken as an alternative to have with sticky rice. 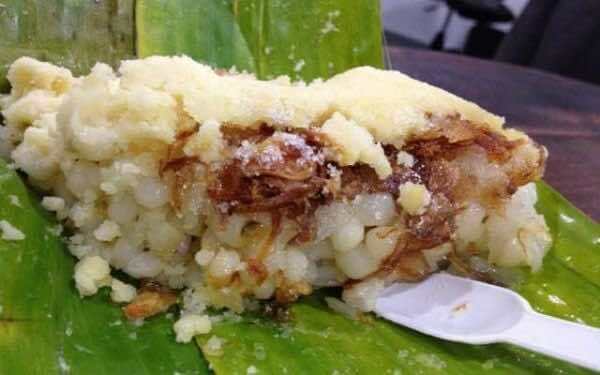 Sticky rice is put in a banana leaf with your chosen topping. All in all, the sticky rice won’t let you down. Xôi gà Bà Chiểu – 318/1 Bui Huu Nghia, Ward 1, Binh Thanh District, HCMC. Xôi bánh phồng sầu riêng – at the corner of Lam Van Ben and Nguyen Thi Thap, District 7, HCMC. Can you image a feast for less than $1? Xoi Binh Tien provides the four ingredients for a perfect late night meal: affordability, speed, delicious tastes and filling food. The signature dish at Xoi Binh Tien is the creamny, sweet coconut sticky rice with egg custard, which can be enjoyed as a dessert. 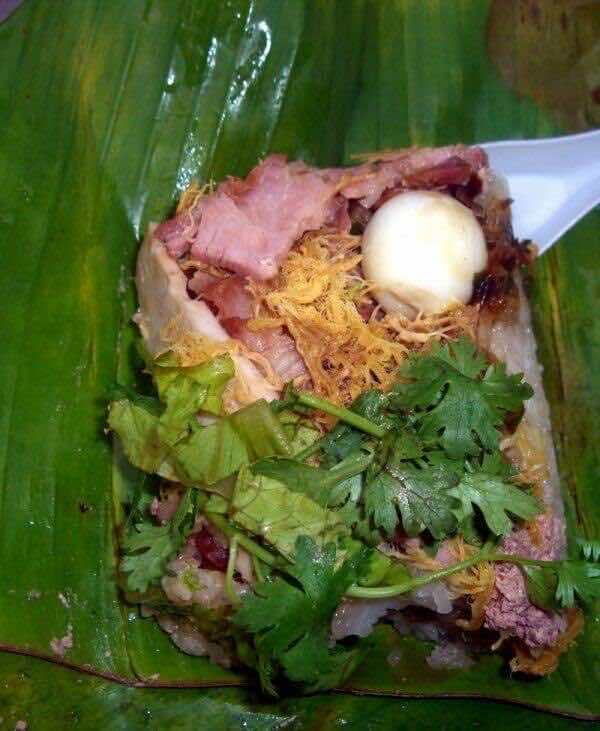 The steamed sticky rice is wrapped in 2 sheets of banana leaves and papar sheet outside so that it’s still warm after one hour. Xôi Bình Tiên – 88 Minh Phung, Ward 5, District 6, HCMC. 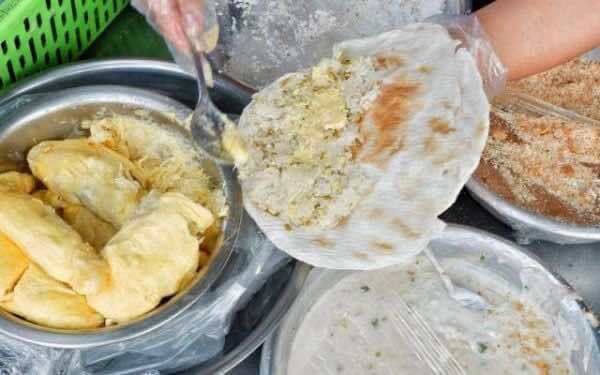 The cart has occupied the corner of Dien Bien Phu and Cao Thang streets in District 3 for more than 60 years now, serving as a lifesaver for students and office workers in need of a quick breakfast. 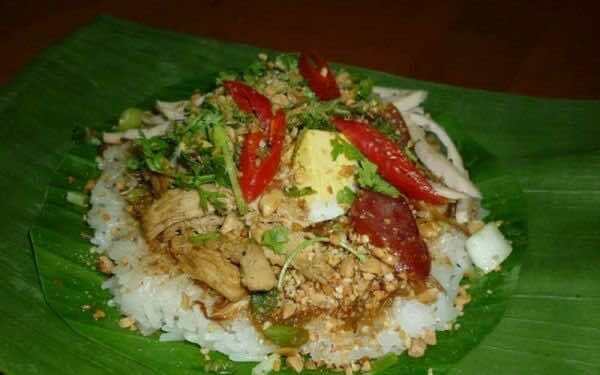 The sticky rice is cooked with coconut water and served with boiled pork, in addtion to other ingredients like quail eggs, pate, aromatic leaves,pork pie, and soy sauce. Xôi Tám Cẩu – at the corner of Dien Bien Phu and Cao Thang Streets, District 3, HCMC. 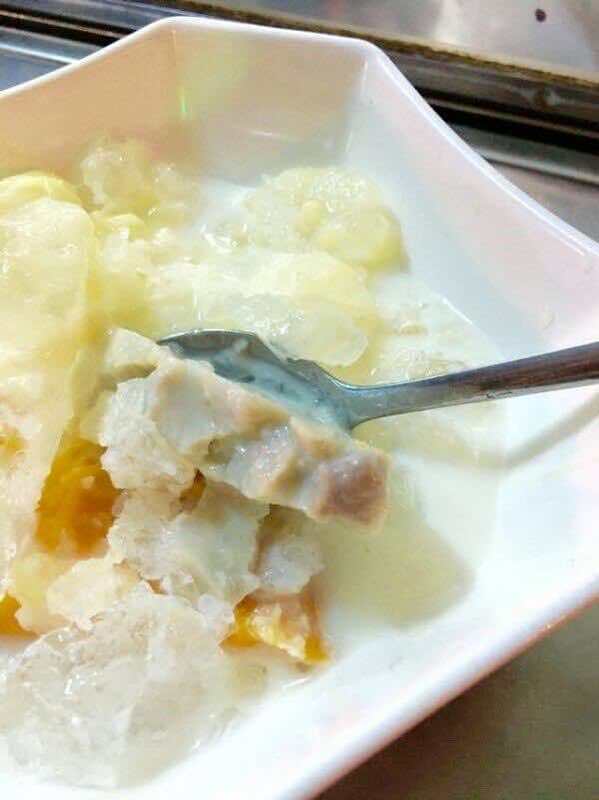 Xoi xiem is a strange food to Vietnamese because it comes from Cambodia but its favor is very familiar thaks to the common ingredients in our country such as thot not sugar, eggs, durian and coconut milk. 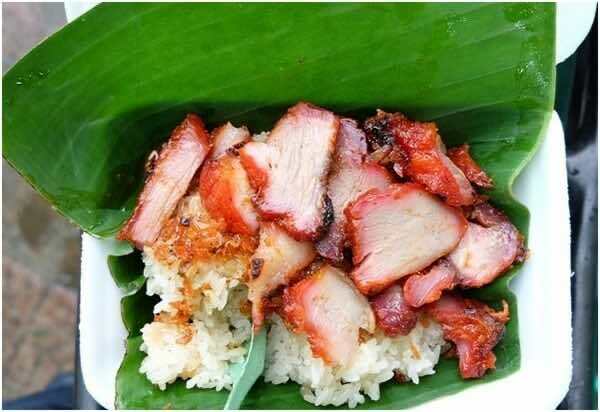 Guests are highly recommended to visit Co Co’s sweet soup stall to enjoy this special kind of sticky rice. You may think it weird but do try it. We are sure you will love it. Xôi xiêm Cô Có – Ho Thi Ky Flower Market, 57 Ho Thi Ky, Ward 1, District 10, HCMC. Sitting on a small stool at thebase of a stairwell at 24 Nguyen Huu Cau street, chi Ut has been offering her sweet and healthy treat here for the past 32 years. Motorbike drivers continously pull up, point at her bamboo basket, toss a few bills to chi Ut, grab their sticky treasurer, then speed away. 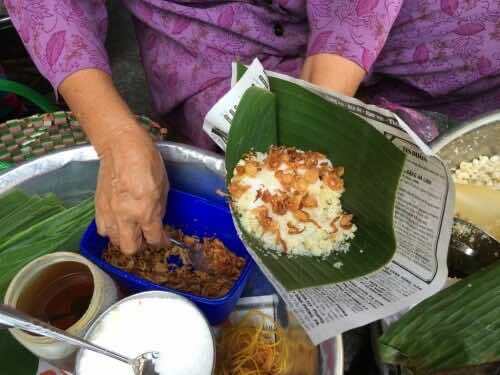 Chi Ut scoops a pile of sticky rice into a small banana leaf, adds the grain of your choice, sprinkles it with some srispy-fried shallots, and a bit of sugar, and folds it all into a small origami taste treat. Saigon Xôi Bắp Lady – 24 Nguyen Huu Cau, Tan Dinh Ward, District 1, HCMC.